Thinking about Christmas? 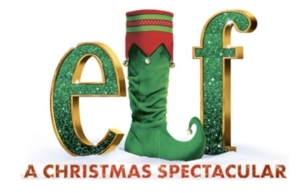 A reminder to see David in ELF – this is your last chance to take advantage of priority seats and discount tickets to see the amazing Arena Spectacular based on the Will Ferrell movie starring David and Martine McCutcheon. And you will receive £10 off all adult tickets in the Sleigh ride, toyshop and reindeer seating blocks. Payment is taken by BACS or PAYPAL.